Although foraging is going through something of a revival in this country we're far behind other countries. In Greece foraging for edible greens is still really popular and is called "Horta" and they're well known for being weed eaters. Other countries harvest fungi with little worry. 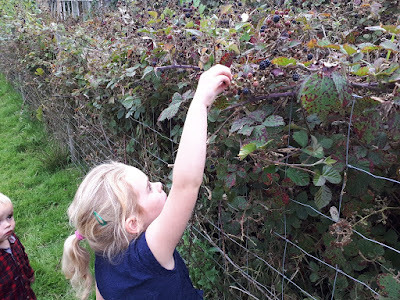 One type of foraging that I don't think has ever lost it's popularity in this country is blackberry picking. I can remember doing it as a child, through my teenage years and into my twenties and now thirties as well. I should imagine there hasn't been many years when I haven't collected this free fruit from the hedgerows. I often see others doing it as well, there's something completely appealing about this easy to identify, tasty fruit, even if you pick an area clean one day, a few days later they are there ready to pick again! 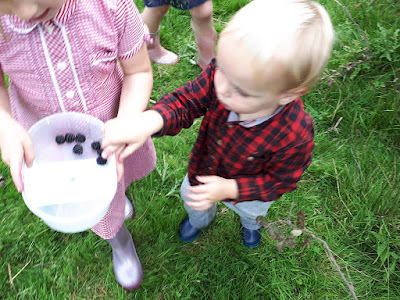 My children are certainly obsessed with the berry at the moment. 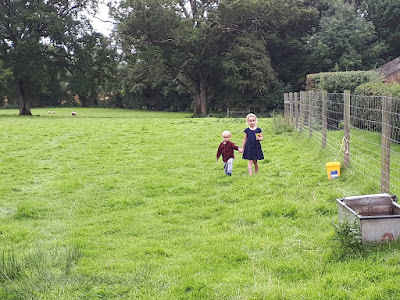 There's loads by where we park the car that they have to pick at each day as they get out and we've been a few times to fill some punnets up to go in the freezer. A quick walk around the field results in another for a few apple crumbles to warm us for some autumn evenings that seem to have come all of a sudden. That said their tubs never come back very full! I love doing this with my children, it's certainly something that has been done for thousands of years and I'm sure in much the same way. I reach the high ones whilst the kids gather the low ones (and fill their faces when I'm not looking). Who else has been out foraging for blackberries this season? Is it something you did with your children? What's your favourite food to forage? 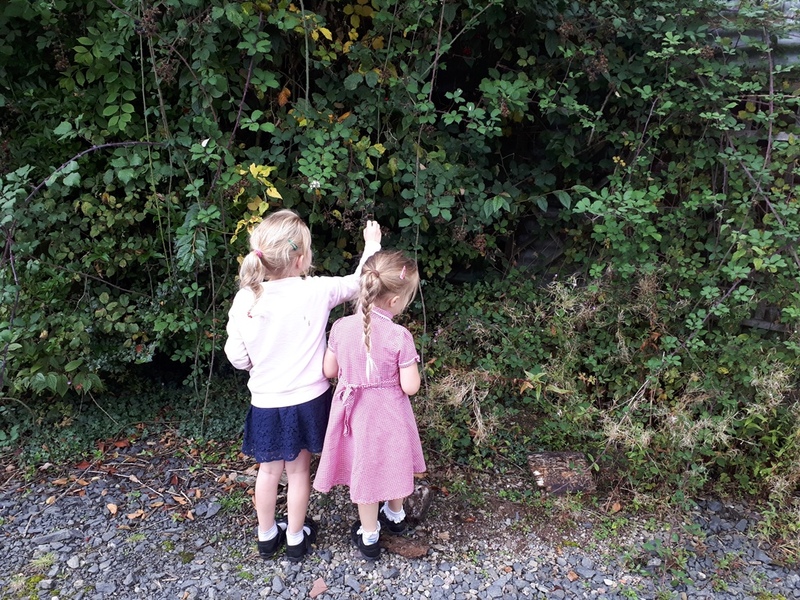 right now - we are foraging blackberries, raspberries and soon it will be cranberries. our neighbour dave picked us 5lbs of blueberries from his pesticide-free blueberry farm. we never hurt for berries during the winter. i love that you take your children with you...you are giving them such amazing memories for them to grow up and become the generation that is going to fix this mess of a world! i believe that! 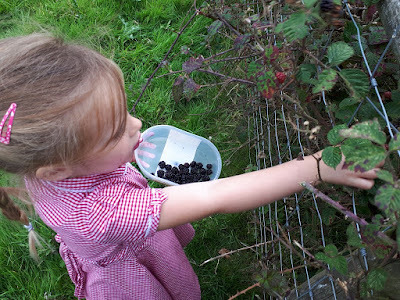 i have such fond memories of blackberry picking when i was little. my mother would bake pies and make jam with them. i just liked them plain. i planted some bushes a few years ago but they don't produce much yet. since i have a woods in the city, i have an unnatural number of birds who always seem to get my berries before i do. i hardly got any of my berries this year but they sure did. The birds got what few I had. I didnt this year as we still have plenty preserved from last year, but I do enjoy a bit of foraging. How sweet. Before we moved here, where there are blackberries everywhere, we used to go to a local bike path at the lake to pick berries. We never saw anyone else picking. In fact, one day I was waist high in brambles, holding a bucket and picking when some riders stopped to ask me what I was doing. Umm? It's kind of a self-explanatory activity. I guess my favorite to forage is morel mushrooms or maybe dandelion greens at the start of spring. A very poor year here for blackberries. In fact for last night's Blackberry-n-apple crumble, my wife had to revert to using frozen fruit from a bag of 'mixed berries'. The shame of it! We used to but now have a thornless one in my fruit cage. I have 'foraged' in there for weeks, finally cutting it down yesterday. I think we have frozen about 2kg. They may be larger but not quite so sweet. Yes,we have picked a good few pounds this year, more than last and luckily the good spots are all close to home. I need to get out this week as I feel they are basically at an end but want to give it one last go. I had a bag full in the freezer for Christmas vodka but I keep having a handful on my yoghurt at breakfast so they are diminishing; I think I prefer them like that to vodka to be honest! Where we are, USA, there aren't many wild. An old neighbor, who has since passed, showed me where there is a nice small gathering of canes. I've been once this week. The berries are still a bit tart since the sun has been hard to come by. They are in the freezer. It would be nice to get enough to make some wine. Cute picture of older child watching out for the youngest. 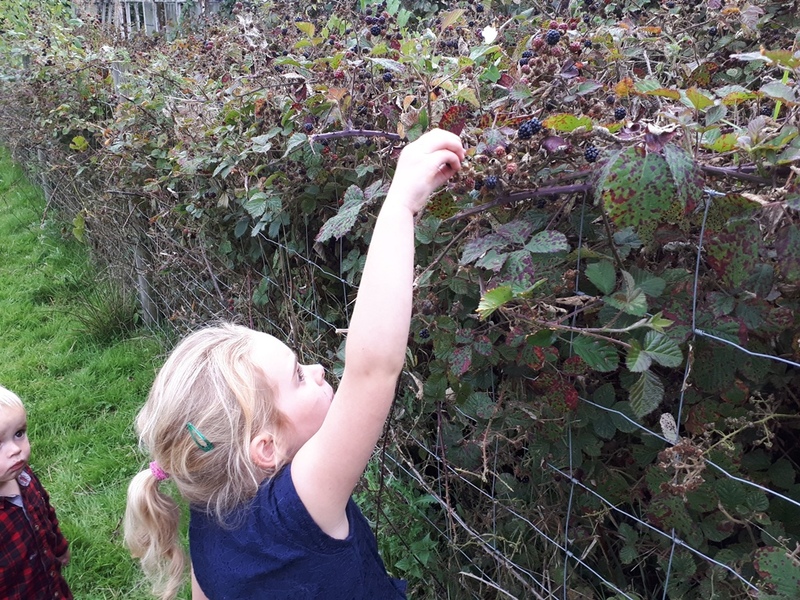 Bumper year for blackberries on our holding this year. Blackberry picking I did as a child, as did my children. It's something children do very well. 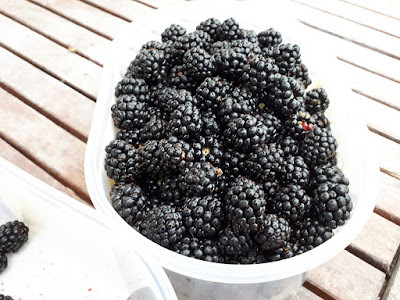 We had a foraged blackberry and apple crumble at the weekend, but they seem a bit thin on the ground here. My favourite thing to forage are ransoms which I use fresh and also make into pesto which I freeze for the winter months.